A light frost and a sunny morning make for a lovely start to the day. 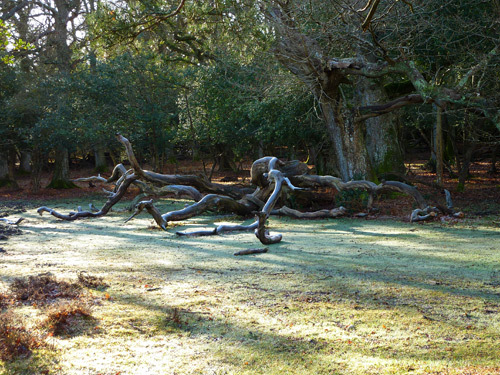 This higgledy piggledy pile of wood is an old fallen tree on the edge of Pinnick Wood. 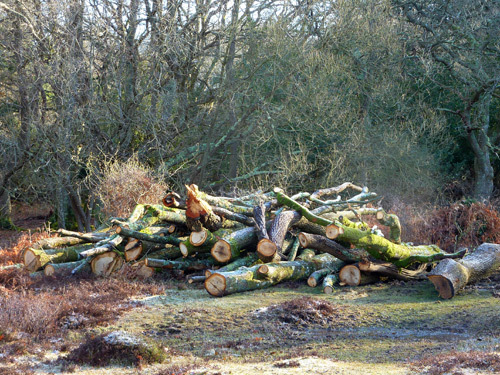 By contrast, recent forest operations have left a very neat stack of cut wood nearby. 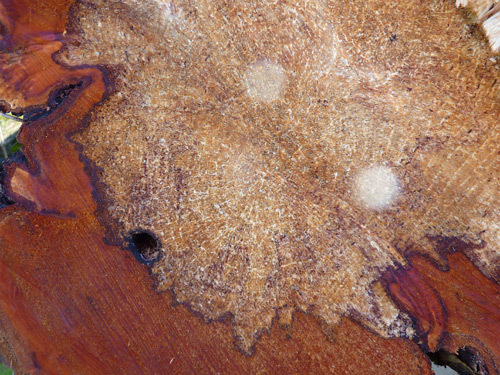 Not quite so neat, but left by the same operations. 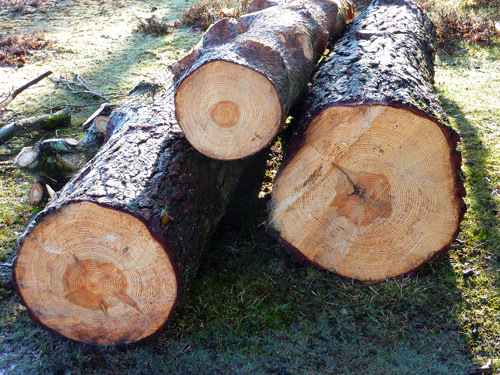 A close up of a log end, what a beautiful thing. 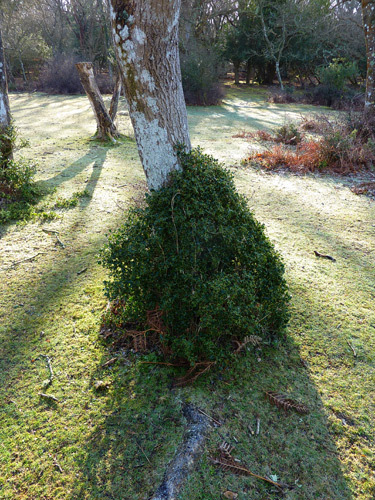 Over by the brook now, a skirt of holly around this tree. A little further on, my totem tree. This fallen tree has been here as long as I can remember. 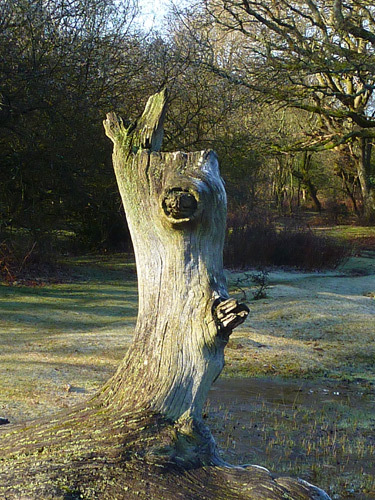 This top branch always looks like a totem pole, or perhaps something from Star Wars…? 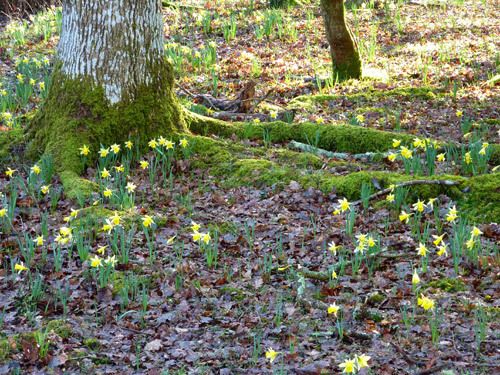 The little woodland by the brook has a carpet of little daffodils in amongst the leaf litter now. 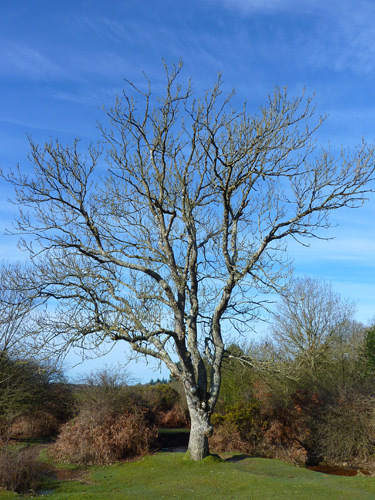 My favourite ash tree, the ends of the branches are swelling and turning black as the buds get ready to burst open. 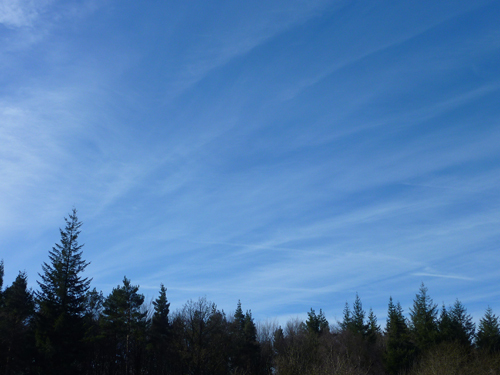 Lovely cirrus clouds over Little Linford Inclosure. 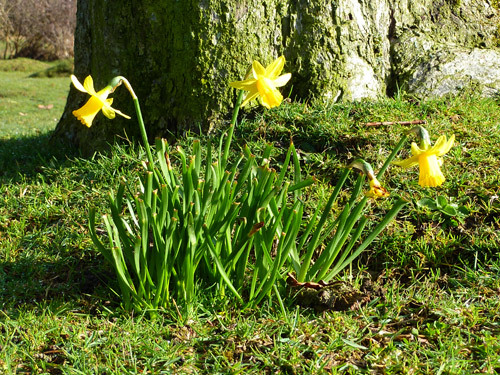 My little daffy plant – all in bloom now. 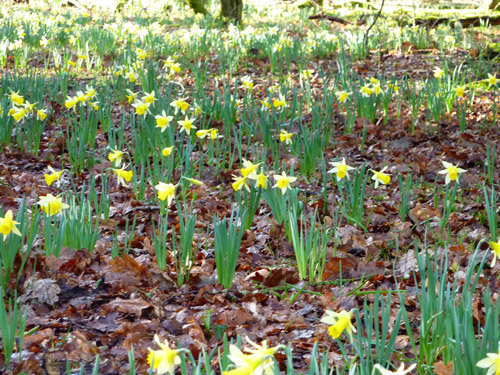 Only two weeks ago their leaves had barely broken the surface of the soil! 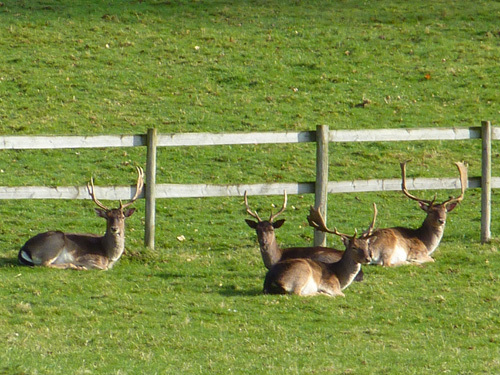 As I drive down through Highwood, some very fine Fallow bucks are taking a rest in the morning sunshine. 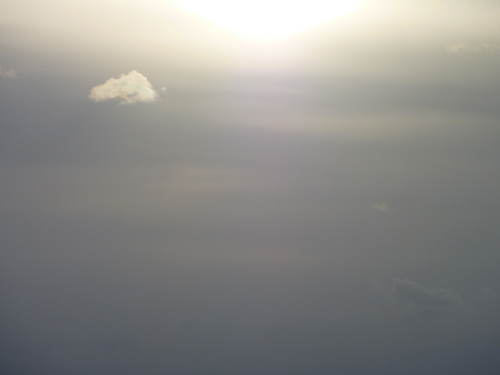 At Rockford Common in the afternoon, a lonely cloud against the murky sky. 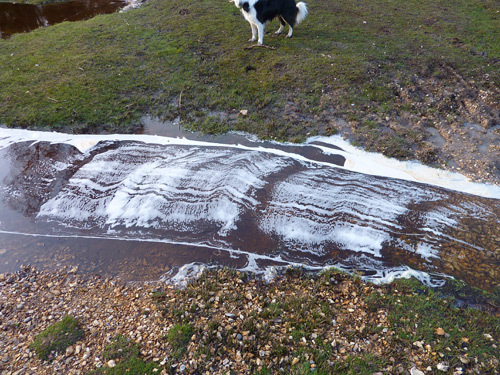 And a very strange effect in the stream as foam (natural, not soap!) is washed down a shallow area.